Commercial litigation law, also known as business or corporate law, describes any law applying to the rights, relations, or conduct of persons and companies engaged in business, trade, or sales. This includes breach of contract cases, fraud-related cases, business disputes, vendor disputes, employment issues, and much more. When it comes to commercial litigation law in East Peoria, IL, we here at Kepple Law Group are dedicated to protecting your best interests. Our experienced attorneys regularly handle cases where fraud or misrepresentation is alleged in the business world. Due to our extensive experience handling breach of fiduciary cases and representing shareholders of all sizes, it is safe to assume that Kepple Law Group, LLC is your trusted source for commercial litigation cases. Some cases impact the daily lives of our clients; we do not believe this is fair. Such cases include unfair competition, copyright or trademark infringement, defamation, and the release of trade secrets. These are the type of situations that can make or break a business for life. At Kepple Law Group, our most qualified and knowledgeable team of attorneys will be by your side throughout the entire court proceedings. We are committed to fostering a sense of cooperation and trust between ourselves and each client we represent in a court of law. On behalf of our customers, we successfully negotiate satisfactory outcomes for everyone involved. If you require an attorney who has a proven track record for getting the job done, trust only the professionals at Kepple Law Group. 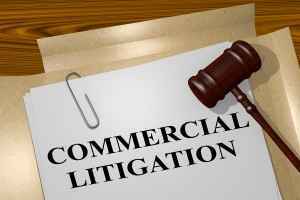 For more information regarding commercial litigation law in East Peoria, IL, contact Kepple Law Group, LLC today by calling 309-282-1545. Our friendly representatives are standing by to discuss commercial legal matters today – do not hesitate to call us!